The village of Cashiers lies on a mountain plateau carved from the granite of the Blue Ridge Mountains on the eastern Continental Divide. It is centered around a lively crossroads—called the “Cashiers Crossroads” – the junction of US 64 and NC Hwy 107. Within a mile radius of the Crossroads are charming restaurants, quaint shops filled with precious antiques and local artisans’ wares, and the Village Green, a 12.5-acre park with an open air, multi-use venue that regularly hosts concerts and festivals to the delight of locals and visitors alike. 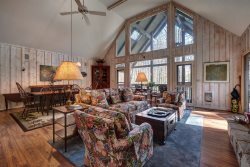 Conveniently located nearby are beautiful Lake Glenville, the lively town of Highlands, and Sapphire Valley with its winter ski slope and other resort amenities. World class golf is just the beginning of what there is to offer. With 11 different area courses totaling more than 45 miles of fairway, professional and amateur golfers alike will have plenty of challenging opportunities to perfect their games. And golf isn’t all there is. Boating, hiking, tennis, horseback riding and more outdoor adventures await you in the mountains as well. For the non-athlete, there is no need to fear boredom! Start the day with a relaxing treatment at one of the luxurious local day spas. Shop the local stores for that perfect mountain touch for your home or self, or visit a historical site. The more culturally inclined may indulge in arts and crafts festivals, theatre, and learning opportunities ranging in subject from art classes to gardening to wildlife lectures. And once the day is done kick back with friends and a picnic at one of the many outdoor concerts. So, come to Cashiers. Watch the sun rise over majestic mountains. Listen to the water splashing over waterfalls. Taste the locally sourced food. Feel the textures of an artisan’s craft… and smell the proverbial roses. 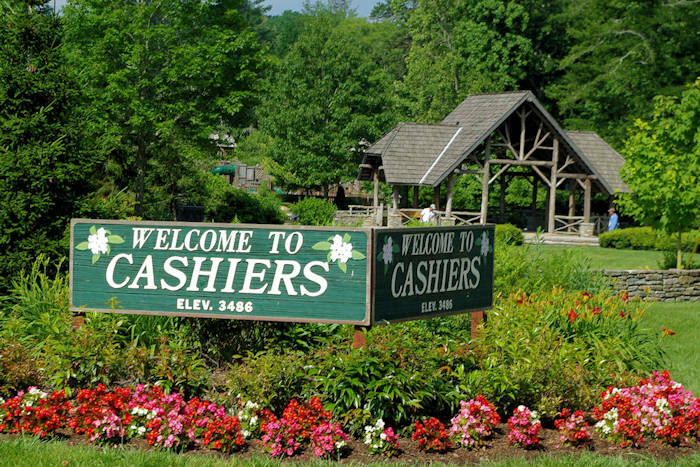 Come to Cashiers… and come to your senses!